I was able to use QXL earlier. 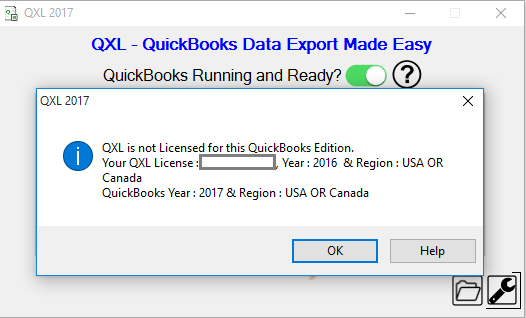 Our co recently upgraded to QB Pro 2016 and now unable to connect with QXL as it says QXL is not licensed for this QuickBooks edition. QXL licensing is not upward compatible only backward, meaning you would need a registered 2017 QXL License CDKEY to work with QuickBooks 2017. QXL 2017 license CDKEY will work with QuickBooks 2002- 2017 Pro and Higher. A QXL 2016 License will allow you to connect to QuickBooks 2002- 2016 Pro and Higher. But you can't use it with QuickBooks 2017.